We are so lucky to be able to visit Michigan two months in a row! We came in October for Feraz’s birthday and to celebrate Eid. We are here again for Thanksgiving now! Before this trip gets away from us, I wanted to share some photos from our last trip here. Found a great abandoned railroad track to photograph. My friend Sara has been getting a lot of mice visitors in her house. They capture them in live traps and then keep them in a critter box until they can release them. We went to Belle Isle to set this little one free! We had some time to visit the two University of Michigan campuses near us. It was such a walk down memory lane. Go visit your alma maters! Its so much fun. We stopped in Bay City for Feraz’s birthday dinner. Feraz has been praying in some random spots on our road trips. On our last one he decided to stop and pray in a mall parking lot in Lima, Ohio. I think I prefer empty playgrounds. Good times! Can’t believe how much the law school has changed! Its beautiful. Camera wars. I love *Sara. She is for keeps. You can see the full set here. It includes Eid pictures! I was taking a look at the Buzzfeed piece of 21 images of why the NYC Marathon was cancelled. Minus the water, a lot of the pictures look like they could have been taken in parts of Detroit. And for some reason, that really upset me. 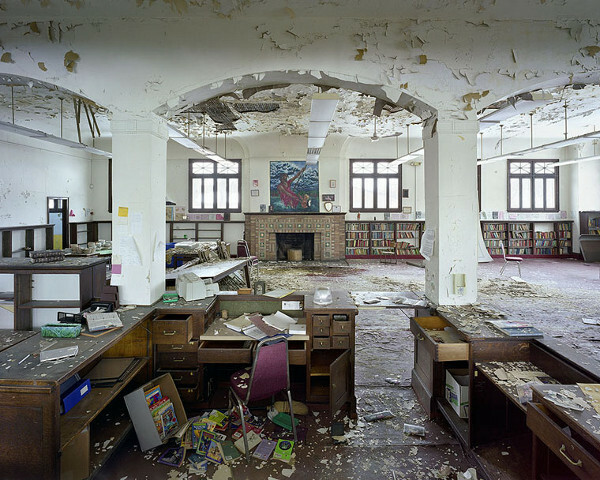 Just doing a basic google search for Detroit, some of the images below came up. I wish that we treated all places in our country that need disaster relief with similar outpourings of love and compassion. HitRECord! Should we capture the moment or just enjoy it? Have you heard of HitRECord? It is an online collaborative production company started by Joseph Gordon-Levitt. It is a space where all types of artists can come together to work on stories, music, movies and lots of other things. It has been such a great resource to find and I would have loved to have had an outlet like it when I was younger. It has pushed me to write more, learn how to do really basic sound and video mixing and start looking at the world through a more artistic lens. 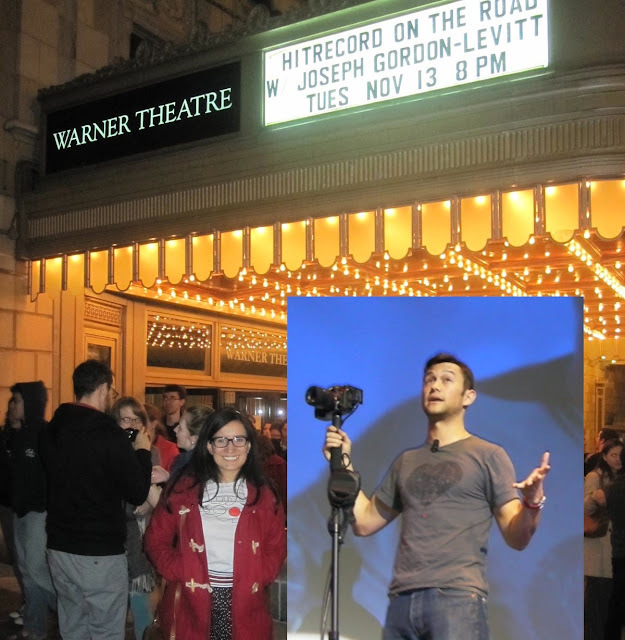 This week JGL kicked off a HitRecord Live Show tour in DC. I wasn’t sure what to expect but I wanted to support HitRecord so I bought two tickets, grabbed my BFF and went to check it out. It was actually a pretty fun experience with random people getting pulled on stage to make art on the spot, showing off finished products made my the HitRECord community and even a sing along. We got this picture together. Although I enjoyed the show, I didn’t leave thinking “That was the best thing I have ever been to.” But when I got home I uploaded some of my pictures on the site and I started checking out what other people had recorded while there. Someone took a picture I posted and “re-mixed” it meaning they edited it with their own take or contribution. By the time a few days had passed, I started to realize what the show really meant. It was the celebration of a community of artists who are working together, supporting each other and saying that art is valuable and we are all capable of creating it and making something beautiful. HitRECord takes the sometimes lonesome endeavor of being an artist and makes it into something truly community sustained. JGL talking about starting HitRECord with his brother, Dan. One thing that my friend mentioned not liking and that I often think about is that when people are busy recording everything at shows, they are no longer experiencing the moment and that somehow cheapens what is happening. What do you think? Is it ok to be recording when you are doing so consciously to make art? Or is it more important to be present? When we are recording and photographing, do we do tend to miss out on the atmosphere and we lose out on the whole picture? Everyone was encouraged to turn ON all recording devices. I am glad that there is someone in office who will appoint Democratic Supreme Court justices to keep the Court more balanced. I am relieved that women’s reproductive rights will remain protected. I am proud that Americans have overwhelmingly taken a stance that all citizens of this country, regardless of sexual orientation, deserve basic civil rights. But I struggle with the fact that we have a two party system, that most my friends vote on party lines without considering individual candidates, that party affiliations have stagnated our political process and that people fail to realize that unless they give their local candidates and issues as much attention as the presidential election, we will never truly build a more perfect union. Nanowrimo! 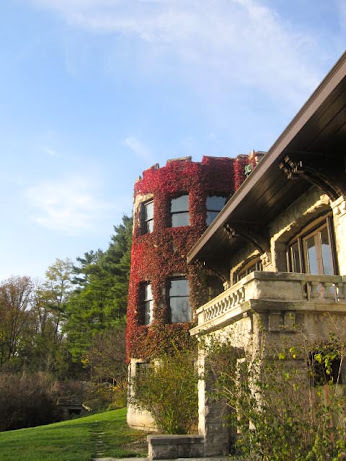 Could you write a novel in a month? I did my first Nanowrimo a few years ago. I wrote the novel and never looked at it again. A few weeks ago, I opened up the document on my laptop and it was so strange reading the words. I don’t remember writing them and I stopped several times and thought, wow, I did this. It was a great feeling and even though I’ll probably never do anything with that novel, it holds a special place in my heart as being my first, big work. It was an amazing experience to go back and read it. I’ve decided to do Nanowrimo again this year. It is a great way to discipline yourself as a writer. Most of what you write might not be amazing (though it might be!) but it helps you get a lot of practice in. What about you guys? Anyone else doing it? Anyone do it before and produce something they really liked?